Are you finding that your toilet pan is too low? Try a W.C. adaptation installed by Nightingales. 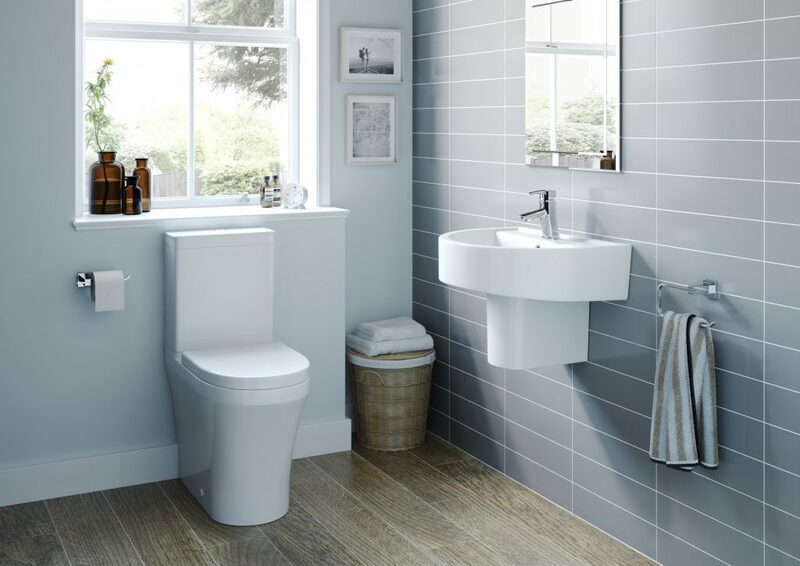 At Nightingale Bathrooms® we can install a raised height W.C. suite which will make using the lavatory much easier and safer. Unlike raised toilet seats which look unsightly, a raised height W.C. suite looks no different to a standard W.C., the pan is just taller. Standard W.C. pans are around 410mm (16") in height whereas a raised height pan is around 450mm (18"). Alternatively, a wall hung pan (as shown below) can be installed at a height to suit the user. 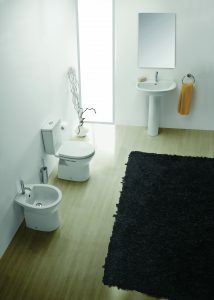 Spatula and lever flush handles are available if you have difficulty using the push button versions. Raised height W.C. suites are available in close coupled and low level options and are installed with a soft close seat as standard. Drop down grab rails can be fitted for additional support. These fold up when not in use and are available in a variety of styles and finishes. There is even an option that includes a toilet roll holder. As an alternative to a raised height pan we can also provide plinths in 50mm, 75mm or 100mm sizes which can be installed under a standard height W.C. pan. 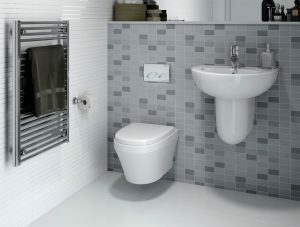 We have a raised height toilet installed next to a standard height toilet in our showroom in West Malling, Kent. Pop in to see us and you can see the difference for yourself. For further information give us a call on 0800 566 8889 or use our contact us form. Fitter did an excellent job and he was vey courteous and professional.